Honor V10 is Launching on November 28 in China, Confirms Official Invitation - Playfuldroid! Earlier in this week, the Honor V10 would be debuting first in China before getting announced in London, U.K. on Dec. 5. Today, an official launch invitation released on the Weibo account of Honor has confirmed that it will be unveiled in Beijing, China on Nov. 28. The Honor V10 poster shows that the two main features arriving on the smartphone is AI and dual rear cameras. 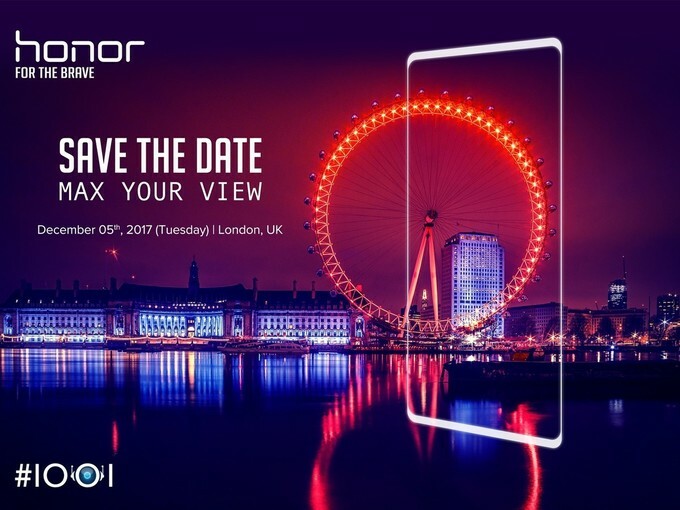 The Honor V10’s launch invitation for London’s event shows that the smartphone would be arriving with full screen design. Speculations are rife that it would be a cheaper edition of the Mate 10 Pro. Like the Mate 10 Pro, the Honor V10 is speculated to house an 18:9 screen. 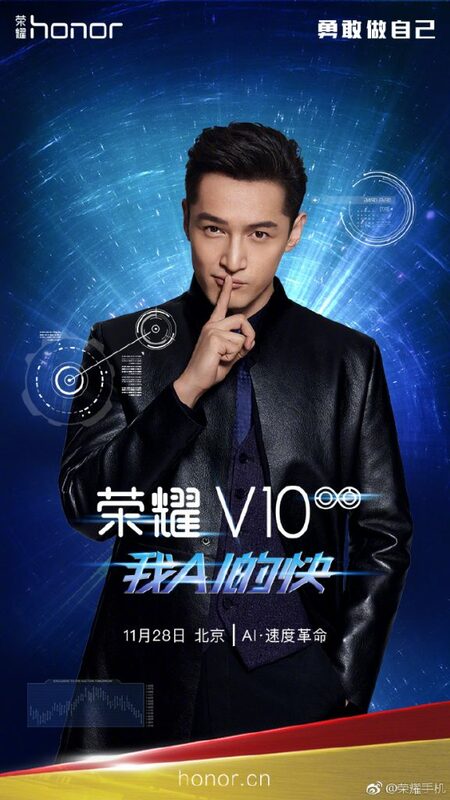 The V10 is expected to feature a 6-inch screen supplied by BOE, a Chinese display maker. It is expected to house a 16-megapixel + 20-megapixel dual rear cameras. The Honor V10 may arrive in 6 GB RAM + 64 GB storage and 8 GB RAM + 128 GB storage variants. Honor CEO Zhao Ming has already confirmed that the Honor V10 will feature Kirin 970 and it will be running Android 8.0 Oreo that is customized with EMUI 8.0. The Kirin 970 has an exclusive neural processing unit for handling AI tasks. The 4,000mAh battery of V10 is expected to carry support for 22.5W fast charge. The V10 is likely to cost around 3,000 Yuan (~$450).